When Morgan’s office switched from desktop computers to laptops, everyone was happy about the technology upgrade, except Morgan lost her foot rest. 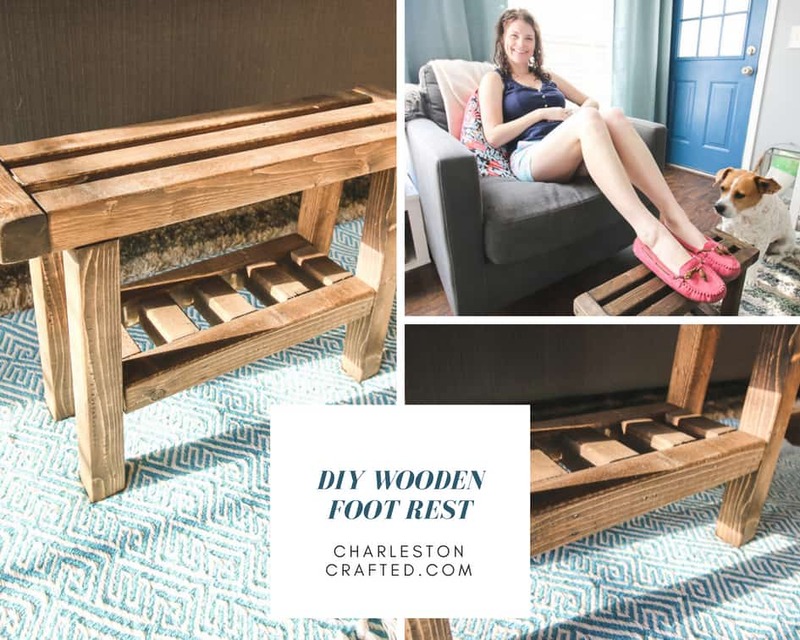 She always put her feet on top of hers, so I decided to make her a new DIY wooden foot rest. She’s going to use it at work, but you could build this and use it anywhere your feet desired. 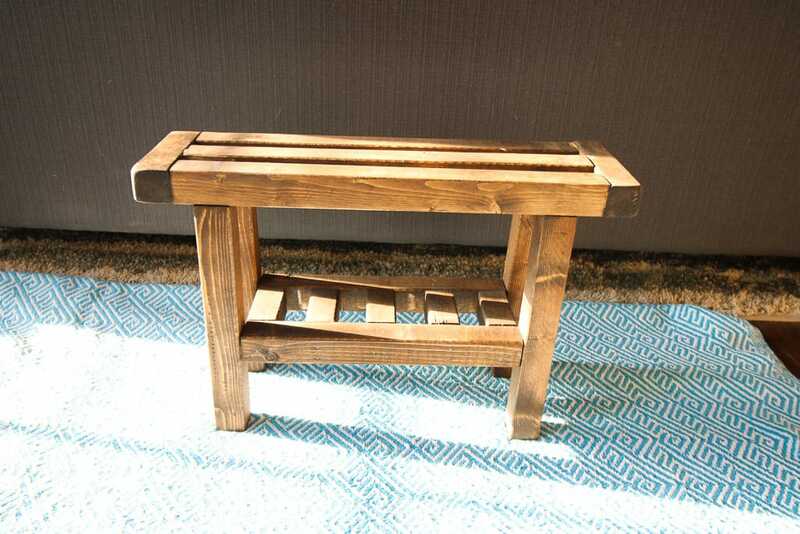 I built this in a semi-Japanese style that was the perfect height for her feet. 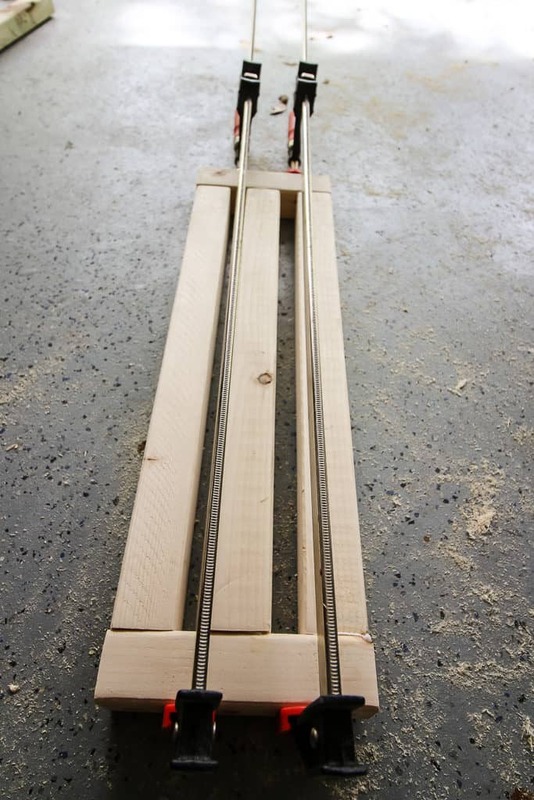 I built the entire thing out of 2″x2″ wood, which keep in mind is actually 1.5″x1.5″. First, I built the top. I attached the long 18″ pieces to the 6″ pieces. 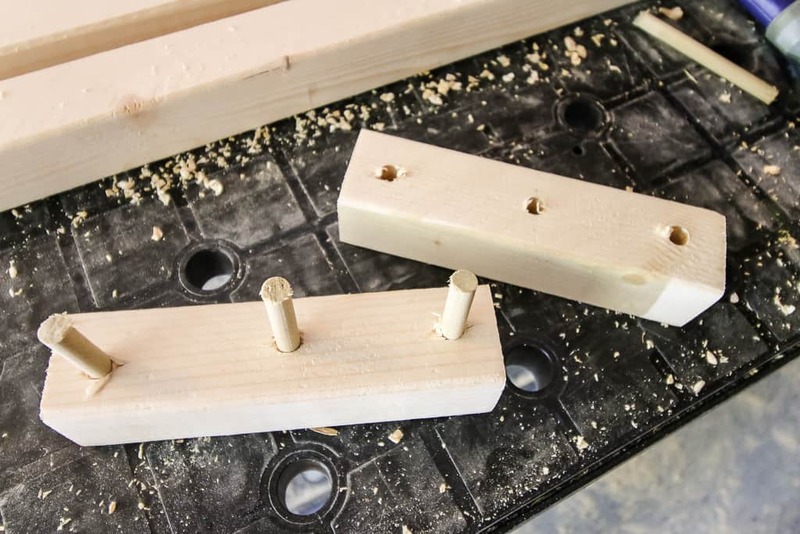 I used dowels for this, by drilling holes into the ends of the long pieces and through the short pieces, but you could glue the top up or use nails or screws. 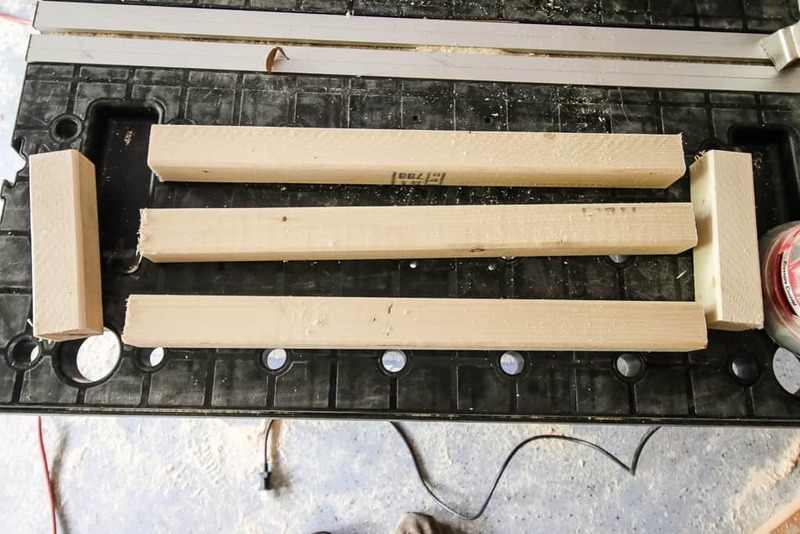 For the bottom, I used nails to attach the 3″ pieces to the inside of the 13″ pieces to form what looks like a ladder. 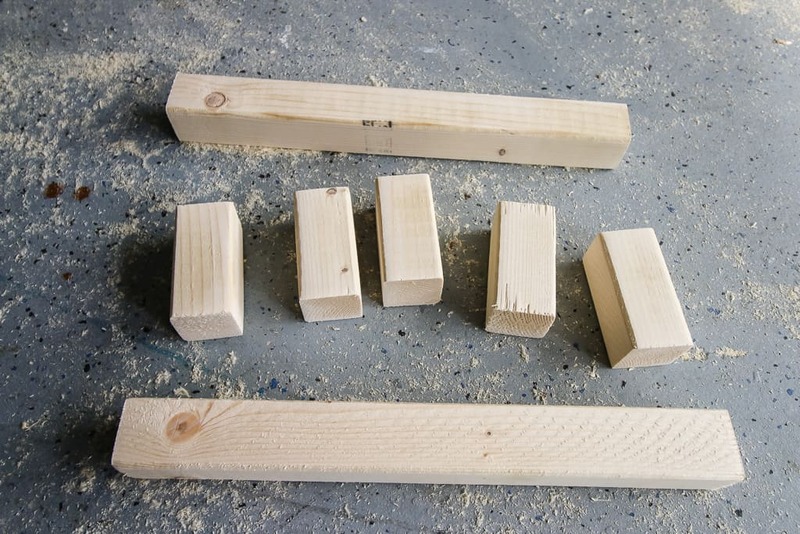 Then I attached this lower ladder pieces to the legs about about 4 1/2 inches to 6 inches up. Next, I attached the top to the bottom. 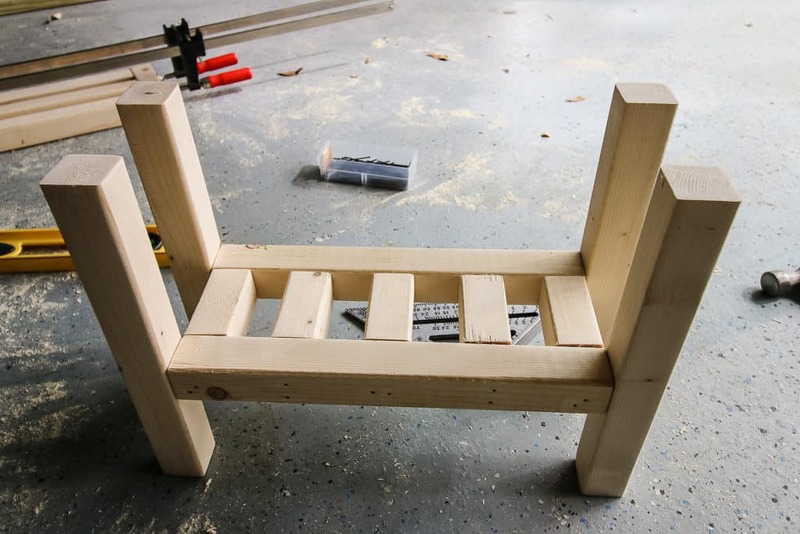 For this, I just used Gorilla Wood Glue and clamped it together. Finally, I added a dark walnut stain to the whole thing. 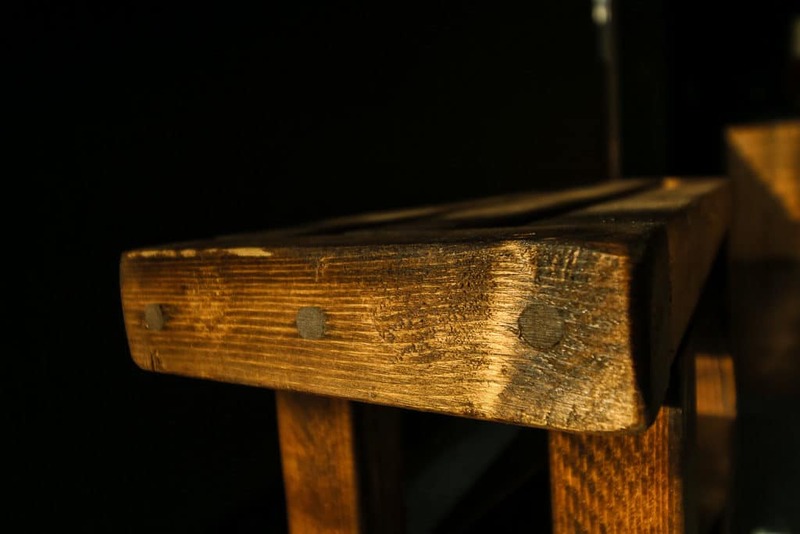 I loved the look of the cross beams on the top and bottom going in different directions and I really liked not putting the legs all the way on the outside corners. This gave it an Asian flare that I really liked. 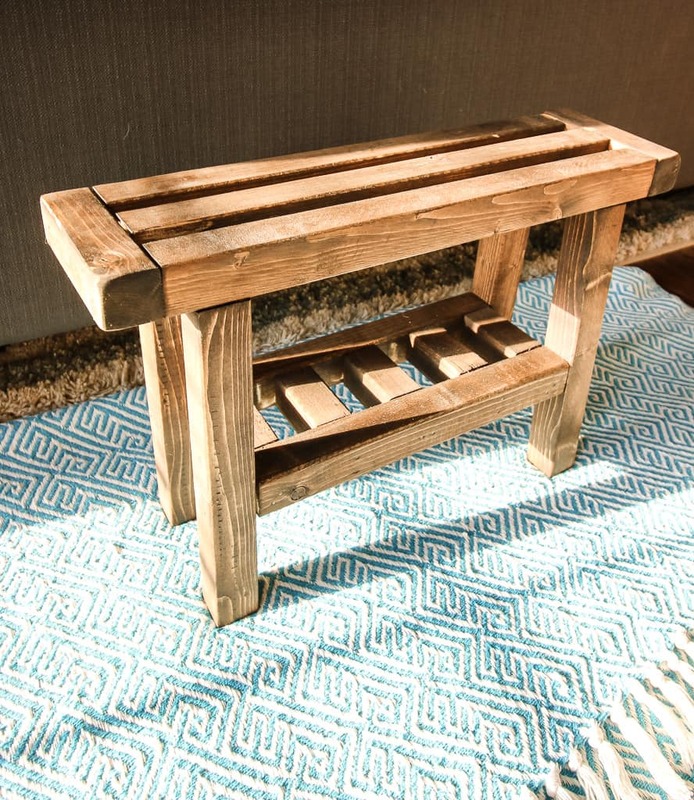 Now Morgan has a better DIY wooden foot rest to use instead of putting her feet on top of a computer… that she doesn’t even have anymore. This was a quick build that took very little time at all. It’s very customizable in the size, color, what you attach it with and so much more. Let us know if you make one!